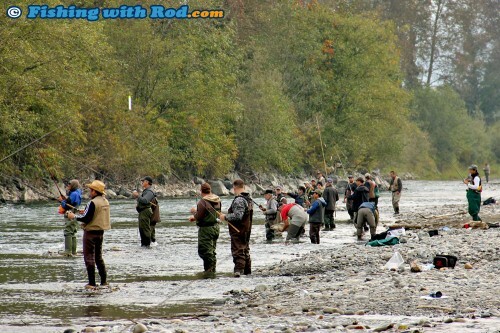 If you live in the Lower Mainland and fish the Chilliwack River, you will notice that water level is at its all-time low. Many anglers have suggested that these conditions make it impossible for salmon to enter the stream, which explains the poor fishing. While the bulk of the salmon run is still waiting for higher water, fish have definitely been moving into the river for many weeks now. Fishing is challenging when water is lower not due to a lack of fish, but they tend to be easily spooked under heavy fishing pressure. 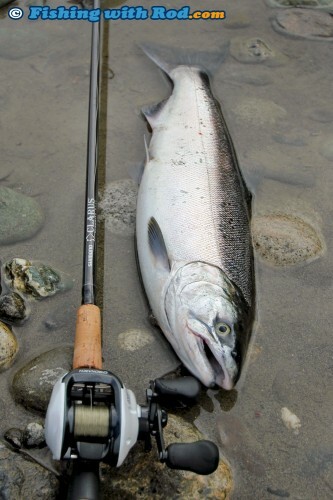 In the past week, we have been able to connect with several coho salmon. Best fishing is of course at first light when fish are still unaware of their surroundings. Float fishing with a spinner has been great to me, while fishing with roe seems challenging as the bites are too light at times. 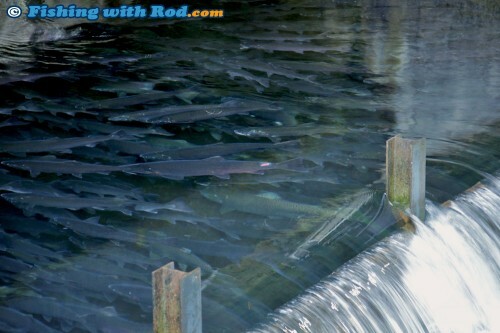 On the weekend, we decided to see how many fish were already in the Chilliwack Salmon Hatchery. 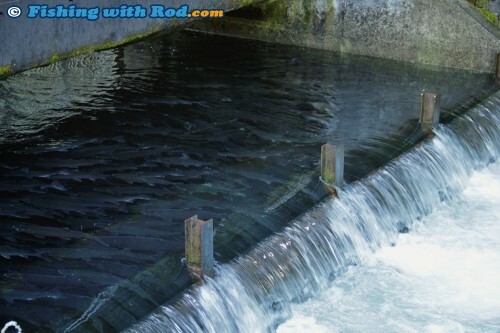 The channel leading up to the hatchery is indeed quite full of both chinook salmon and coho salmon. Here are a couple of photographs and video. If you still doubt that there are fish in the river, then perhaps these will boost your confidence during your next outing. This entry was posted on Monday, October 1st, 2012 at 11:00 am	and is filed under Fishing trip, Nature, Photography. You can follow any responses to this entry through the RSS 2.0 feed. Both comments and pings are currently closed.